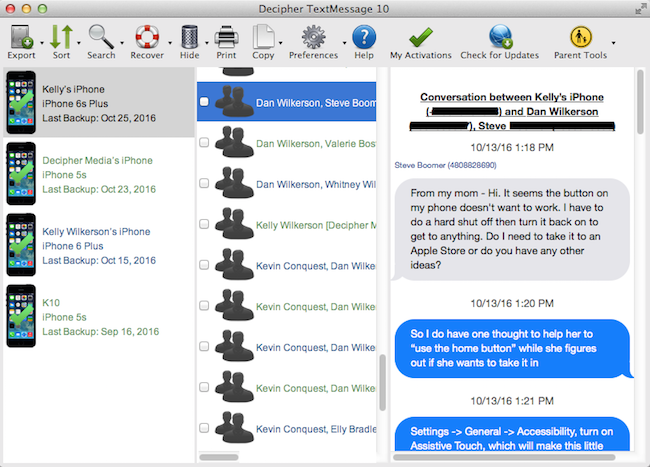 In addition to showing text message conversations with individual people, Decipher TextMessage saves your group message threads for viewing as well. If you're unable to find your group text message or iMessage conversation, the issue may be with the order of the conversations listed in Decipher TextMessage. When listed alphabetically (the default), the group text messages are listed at the bottom of the list. They should appear with a two-person silhouette icon next to the conversation.